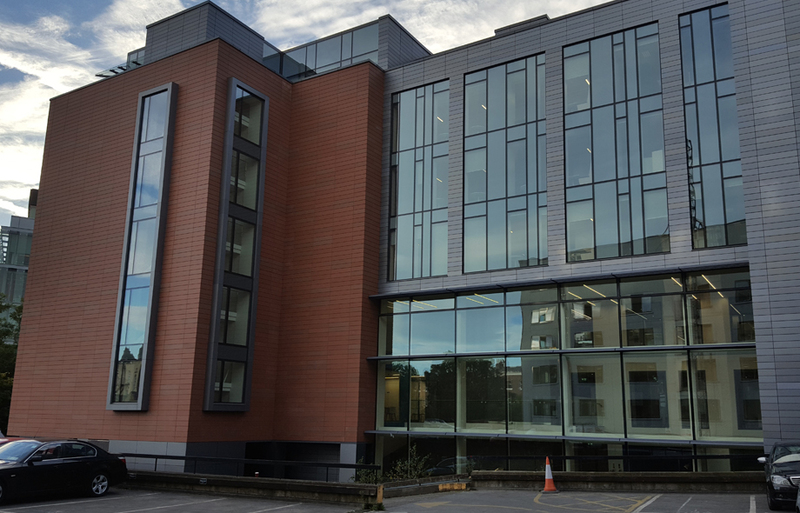 Complete new façade on an existing structure, to deliver prime office space in the heart of Dublin. 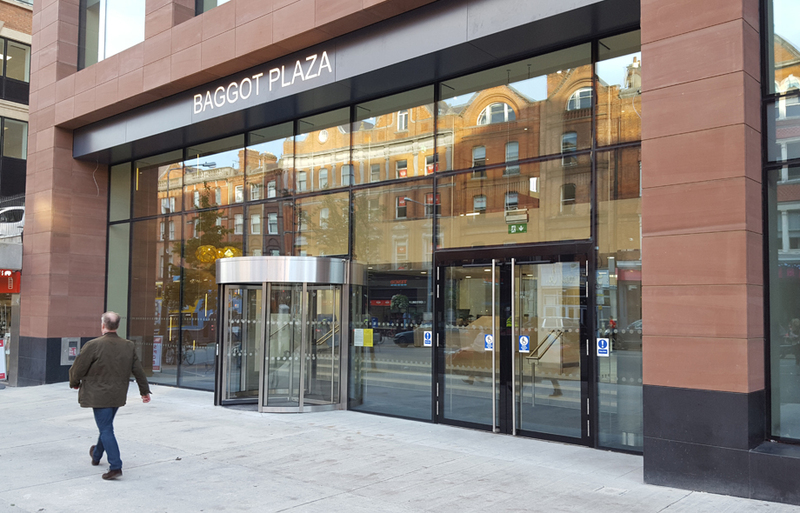 Project Scope – Glazing – SG Toggle Glazed façade. 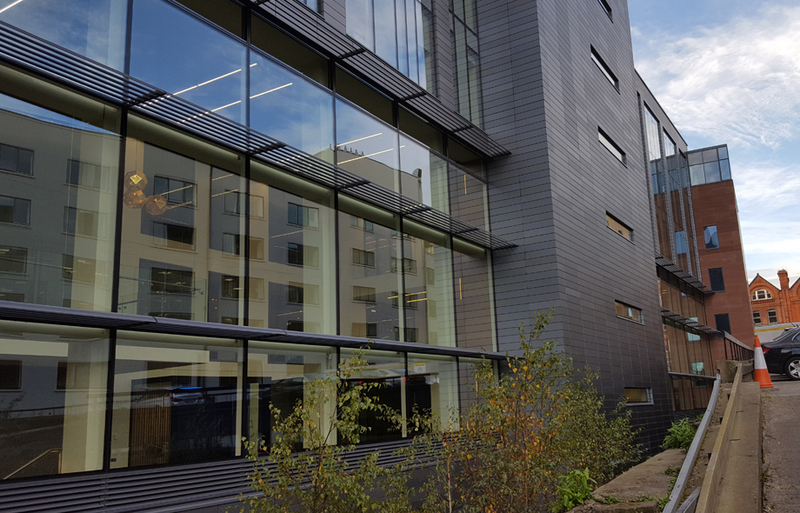 Bespoke (custom) entrance screen using glass fins to support a steel and aluminium curtain walling system. 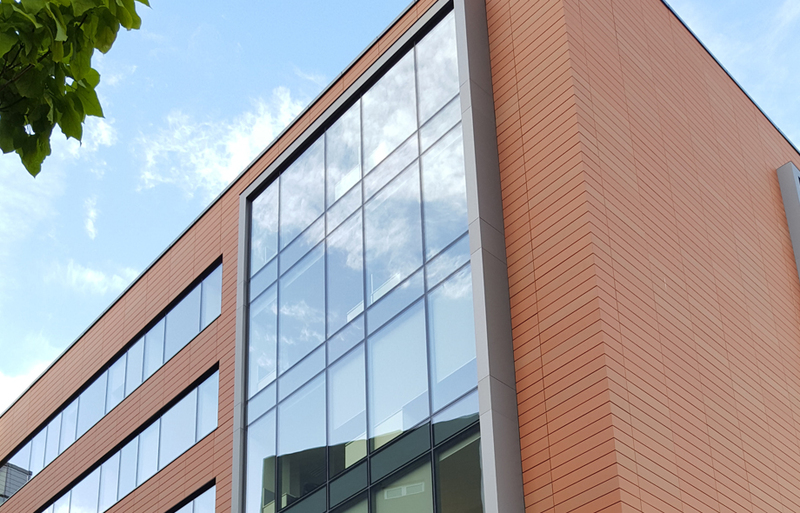 Rainscreen Cladding – Terracotta clay tiles, on light gauge steel wall, hanging system insulation and membranes. 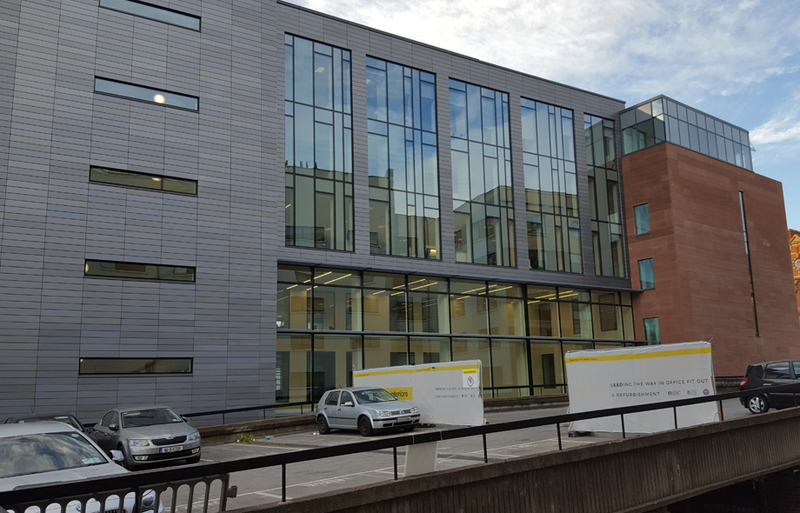 Bespoke (custom) aluminium plank cladding system, also on light gauge steel wall, hanging system, insulation and membranes.